There’s no better way to enjoy an Australian summer than to explore the legendary Murray river region, a long celebrated magnet for those who love to be active outdoors. Enjoy incredible river adventures, natural wonders and amazing food and wine sourced from local produce. With a 2,500km river that spans the border of Victoria and New South Wales, this region is a mecca for nature and water enthusiasts with water skiing, canoeing, boating and paddle steamers all on offer. Add to this, renowned galleries and museums, craft breweries, wineries and many events and festivals- there is certainly no shortage of experiences to explore. 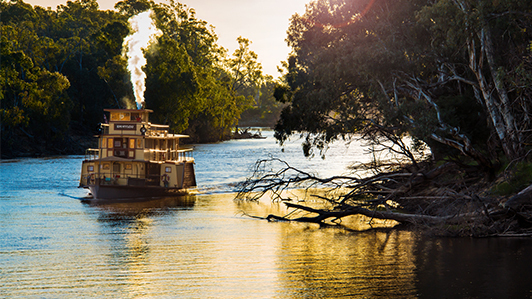 Within a 2.5hr drive from Melbourne, you’ll arrive at Echuca Moama, the centre of the Murray. Or opt to fly into Mildura from Melbourne or direct to Albury Wodonga from Melbourne and Sydney. 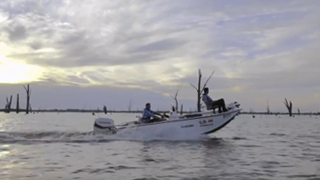 It’s your choice: On the water – boating, floating and waterskiing; Next to the water – fishing, barbecuing and relaxing; Near the water – golfing, eating and exploring; Above the water – flying, skydiving and gliding. 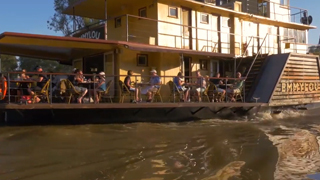 From family friendly adventures to adrenaline-fuelled action (with plenty of time for a tasty meal in between) the Murray the most iconic destination for great river experiences. From its beginnings in the mountains, the Murray meanders through world-renowned wetlands, the world’s largest river red gum forests and bird-filled lake systems to starkly beautiful outback plains of sandhills, saltpans and Mallee shrublands. Explore the natural environment of ever-changing landscapes, river banks and untouched desert landscapes at World-heritage listed Mungo National Park. 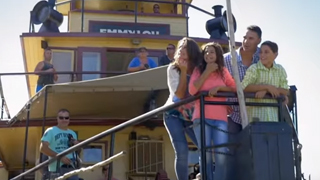 When it comes to enjoying a family getaway, it’s not easy to keep everyone entertained – adults and kids alike! Here’s where the Murray excels, offering opportunities to connect with nature and one another, bringing families together through shared experiences and adventures that will form lifelong memories. 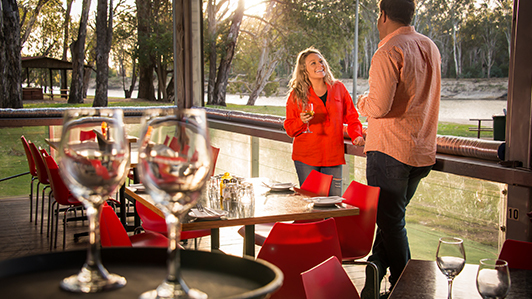 Considered one of Australia’s greatest ‘food bowls’ the Murray offers a wide array of foodie experiences, from seasonal produce sourced and grown at local farm gates. With rolling vineyards, farmers' markets, riverside picnics and food and wine trails, the region brings together authentic flavours and experiences bound to satisfy even the most discerning tastebuds. The Murray is a region with rich foundations and a living, breathing heritage still alive today. It's a place of legendary tales, trials and triumphs for you to experience in the historic towns, museums, walking tours, riverboat cruises and heritage areas. 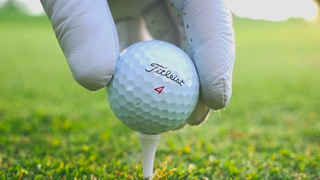 Experience the Murray's history. 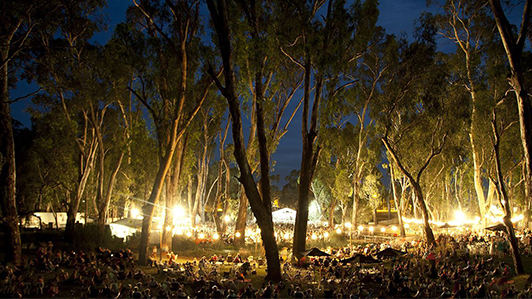 The Murray is widely recognised for its authentic Aussie culture, great music festivals and sporting prowess. Find out all you need to know about the great range of Murray events that will be a highlight of your holiday. Offers are subject to availability and may be discontinued without notice. Prices are "from" prices based on the lowest available fare on the sample travel dates and will be confirmed prior to any payment being made. The price is not guaranteed until paid in full by cleared funds and your tickets are issued. Fees may apply for checked baggage. Payments made by credit card may also incur a credit card service fee charged by the airline. Blackout dates and other restrictions may apply. Fares may be non-refundable and are not transferable. Name changes may not be permitted.